Last week I wrote about and linked to the PWC/CB Insights round up of venture investing in 2018. Well less than a week later Crunchbase is out with its own data on 2018. 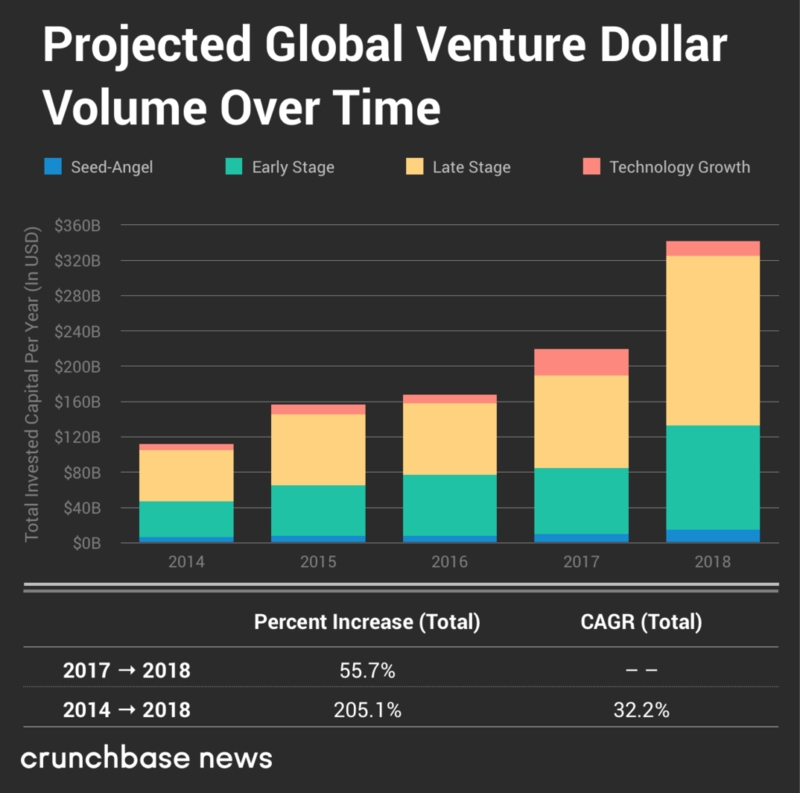 The Crunchbase numbers are much bigger, they report about $330bn of global deal volume. But otherwise the trends are roughly the same. Flattening deal volumes and amounts raised in the early stage market with massive expansion in the late stage market. Make no bones about it, there is a lot of money in the venture capital ecosystem right now. Newer post The Daily Dose Older post Cause Or Effect?